We provides premium Stainless Steel Foils that have been engineered and manufactured the highest quality standard. The defining quality of we are the ability to maintain improved manageability, optimised results when it comes to delivering products right at the first time. Grades: 201, 202, 301, 304, 304L, 316, 316L, 310, Inconel, Monel, Beryllium Etc. We REGAL SALES CORPORATION, offer a wide range of all kind of Stainless Steel Foil, that cater to the requirements of engineering, automotive, chemical and various other industries. We are offering Stainless Steel Foil to our client. At M.A .International we have expertise in manufacturing SS Foils. We are into exporting of these SS Foils sine past 30 Years and still catering industry and trying to meet the expectation of its buyers. 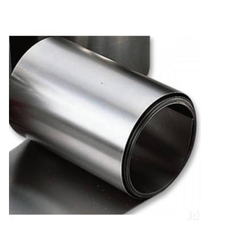 Aesteiron Steels Pvt Ltd, is one of the leading manufacturing companies of Stainless Steel Foil. Our offered range of Stainless Steel Foil is highly appreciated among the customers for its superior performance and high temperature bearing capacity.